Maurice J. Cokel, Jr., 81, of Monmouth, IL, entered into eternal rest at 1:10 a.m., Monday, August 27, 2018 at OSF Holy Family Medical Center, Monmouth. He was born on September 20, 1936 in Monmouth, IL, the son of Maurice J. Sr. and Lelia B. (Munson) Cokel. He was raised and educated in Monmouth and attended Corpus Christi in Galesburg. Maurice married Marlene L. Roark in Monmouth, IL on August 22, 1953 and she preceded him in death on October 17, 2012. Maurice worked as a self-employed welder his whole life. He also farmed for many years. He enjoyed gardening, beekeeping, boating, fishing, baking and cooking. 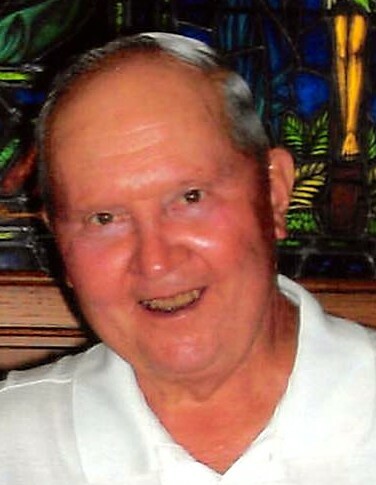 He was an avid St. Louis Cardinals Fan, loved NASCAR and was a lifetime member of the Monmouth Knights of Columbus. Most of all, Maurice loved to spend time with his family. Surviving Maurice are his children; Garry (Susie) Cokel of Monmouth, Sylvia Cokel of Kewanee, IL, Cheri (Daryl Forman) Kiper of Industry, IL, Brenda Shaw of Monmouth, and Laurie Cokel of Birmingham, AL; nine grandchildren, and six great grandchildren; his sister, Maxine Sage of Swan Creek, IL; brothers, Lawrence (Esther) Cokel of Carthage, IL and Julius Cokel of Monmouth; numerous nieces and nephews. Memorial services will be at 11:00 am, Friday, August 31, 2018 at McGuire & Davies Funeral Home and Crematory, Monmouth. Visitation will be prior to the service from 10:00-11:00 a.m. at the funeral home. Cremation rites have been accorded. Memorials may be given to the National Kidney Foundation or the Diabetes Association.